The 2018 edition of the traditional Danube Water Conference took place on 2 and 3 May 2018 in Vienna, Austria, organised by the International Water Association for the Danube Catchment Area (IAWD) and the World Bank. 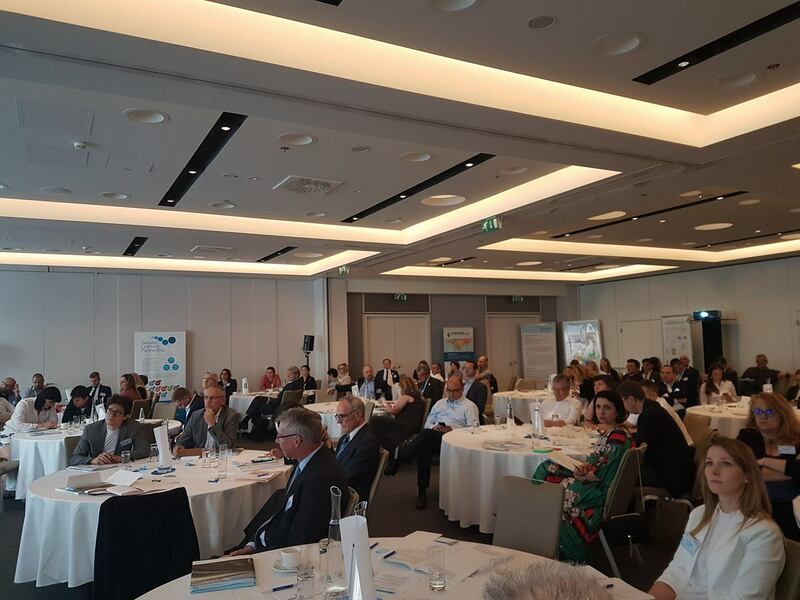 The Conference brought together more than 120 senior water sector representatives from more than 15 countries, to discuss topics related to „Achieving sustainable water and sanitation for all: progress, challenges and future actions in the Danube Region”. Via key note speeches, panel discussions, presentations, and interactive workshops, the conference opened topics such as: Challenges in achieving sustainable water and sanitation services (WSS) in the Danube region, International and national actions to achieve sustainable WSS, Smart policies for sector governance, Strong utilities for sustainable services, Smart policies for inclusive services, Innovation in WSS, etc. The conference paid special attention to capacity development in the water and sanitation sector as a precondition for quality staff and good service. 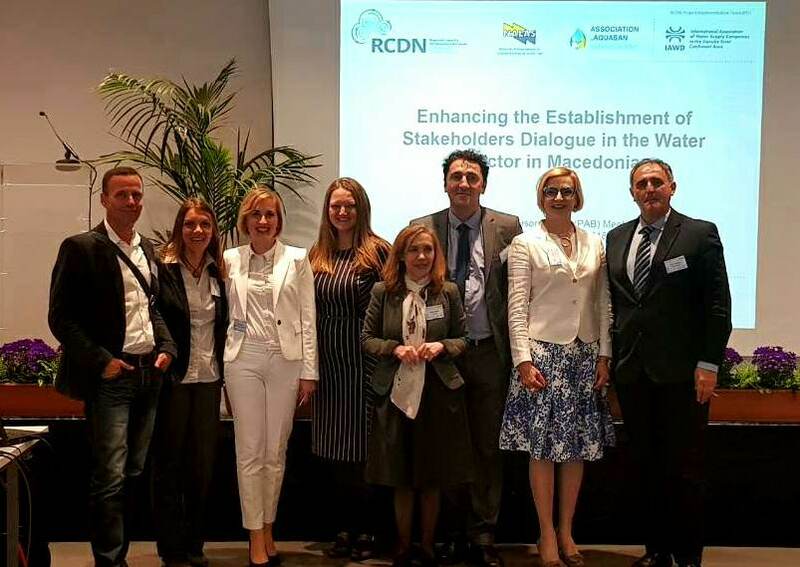 The Regional Capacity Development Network for the Water and Sanitation Services (RCDN) and the opportunities it offers were presented to participants. “RCDN offers a wide spectrum of support measures that increase the capacities of the national Associations of local governments and public utility companies, that shall be the drivers of the capacity development processes; provides a great portfolio of high-quality capacity development products that strengthen capacities of municipalities and public utility companies; and works with all the relevant national stakeholders to enable the supporting environment for effective capacity development”-these were the key messages conveyed by the RCDN Project Implementation Team (PIT), formed by NALAS, IAWD and Aquasan, on behalf of GIZ. What are further capacity development needs – technical topics vs. soft skills, both for LGUs and water utility companies? What are the opportunities and challenges for a utility manager to support the participation of their staff in capacity development initiatives? How can LGUs support the capacity development programs delivered by the national associations and vice versa? How can national level entities incentivize the uptake of the capacity development programs, e.g. policies or other instruments? 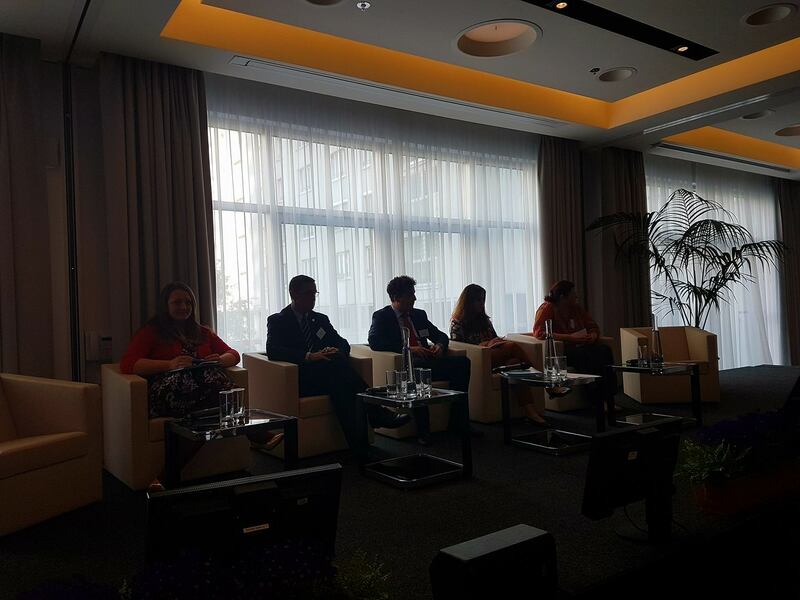 Jelena Janevska, NALAS Knowledge and Communication Manager addressed in the closing session of the 2018 Danube Water Conference. “Municipalities and their Public Utility Companies must further develop their cooperation and jointly identify burning issues, looking for the best, innovative solutions, ensuring appropriate funding, implementation, organizational development and measuring the impact of their work. In the end of the day, the focus must be on the results and citizens’ satisfaction with the service provided”, said Ms. Janevska. “We have started this conference with the Sustainable Development Goal (SDG) number 6, focused on clean water and sanitation and I would like to finish in the same manner. The SDGs set great targets and show us how the World shall look like in 20-30 years. But, for this to happen, SDGs must go local, and as stated in their moto, “Leave no one Behind”. This means a lot of work for the local level that we must start today”, concluded Ms. Janevska. On 3 May 2018, RCDN Project Advisory Board meeting was organised. The Board reviewed the activities implemented in the past six months and set the strategic directions for the upcoming period. The Board endorsed the capacity development plan for the partner LGAs and APUCs for 2018, that shall strengthen their capacities in planning and implementation of capacity development programs to serve the needs of their members.